In Style Transportation is the premier Limo and Car Service in Foothill Ranch, California. Our all luxury fleet of Lincolns, Cadillacs and Mercedes is less than three years old. We have airport permits at Los Angeles International Airport, LAX, John Wayne Airport, SNA, and Long Beach Airport, LGB. Reservations can be made by email, online, phone or through our phone application. We operate 24/7/365. We have an impeccable reputation and maintain a 5 star rating on Google, Yelp and Trip Advisor. 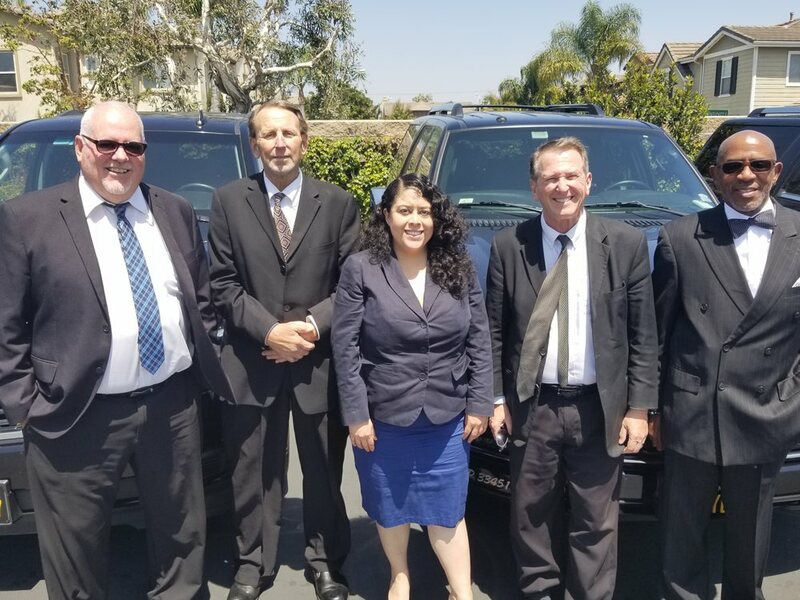 When choosing a limousine service in Foothill Ranch, we hope you consider In Style Transportation as your trusted car service. The distance to LAX from Foothill Ranch is approximately 55 miles. The drive time to get there can range from 60 minutes to 90 minutes during rush hours. Typically, if you leave before 5:00 AM in the morning, you can get to LAX in a about an hour. However, if you leave between 5:30 AM and 9:30 AM the trip will typically take about 75 to 90 minutes. When scheduling your pick-up time, we generally like to add 30 minutes to the typical travel time to allow for variances in traffic and potential jams due to accidents or construction. So, if you leave during morning rush hour, we would schedule your trip about two prior to the time that you would like to arrive at LAX. Another factor that should be considered when traveling out of LAX is terminal traffic. During peak times, it could take up to 30 minutes to reach your terminal after arriving at the airport. Peak times at LAX include travel seasons, holidays and special events in Los Angeles. The distance to SNA from Foothill Ranch is about 18 miles. You can reach John Wayne Airport in 25 to 45 minutes. Traffic getting into and out of John Wayne Airport typically runs smoothly and is usually not congested. The distance to LGB from Foothill Ranch is about 36 miles. You can reach Long Beach Airport in 40 to 70 minutes. Traffic getting into and out of Long Beach Airport typically runs smoothly and is usually not congested. Executive transportation is our specialty. Our professional chauffeurs are courteous, discreet and always keep your safety as a top concern. Relax in one of our quiet luxury vehicles with a smooth, comfortable ride from our experienced career-oriented chauffeurs. When you book a trip in one of our vehicles, rest assured you will impress your business associates when entertaining or getting to an appointment in a safe, timely manner. We offer hourly rates on all our vehicles. Hourly charters begin and end in the same location. You can provide us with an itinerary or direct your chauffeur as you go. Hourly rates are perfect for attending business meetings or a night out. There is a 3 hour minimum with a SUV or sedan. On larger vehicles such as stretch limos and Sprinter vans, the hourly minimum is 5 hours. We will gladly take you to an event and return to pick you up later. This is a great option for attending a concert, show, sports event, premiere or theme park. The flat transfer rate includes 15 minutes of wait time. A wait time charge will be applied for additional time over the 15 free minutes. Please see the chart below to view some estimated rates to area attractions. Foothill Ranch is a census-designated place in Orange County, CA with a population of about 11,000. In 2000, Foothill Ranch was annexed by Lake Forest. The top employers in Foothill Ranch are Oakley Inc., Cox Communications, Nike, Kaiser Aluminum, Kawasaki, Hampton Products/Brinks, Tri Alpha Energy, Viking Technology, Image Options and ProBoards. Rates are subject to availability and do not include a typical gratuity of 20%. Rates to and from an airport are a flat fixed rate. Other destinations are estimates based on a pick up at the Foothill Ranch Towne Center. A $15 EVENT FEE will be added to all PICK UPS at an event venue with a capacity of 2,500 or greater. Copyright © 2019 In Style Transportation. All rights reserved. Website developed by Caspian Services, Inc.